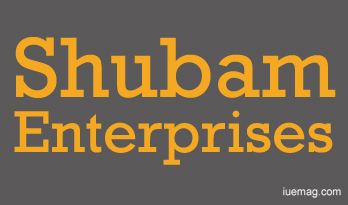 This article presents brief information about the newly established business - a startup called SHUBAM ENTERPRISES, located at S.V.G Nagar, Moodalapalya, Bangalore. It was started a year back. The owner of the company is Prem Kumar. He is a student who is pursuing his 2nd year graduation. He is passionate about business. He likes to be the best businessman and doesn't want to depend on others. Currently, they are the manufacturers of silver paper plates. Prem got an idea about the business from his dad's friend. Previous to this, Prem was a dealer in Reliance data distributing. Plant information: At present the plant location is small and they have installed 2 machines and 5 workers are working at the plant. The plant has facilities like good lighting, ventilation, power supply, transport, and raw materials are also available regularly. Business and Customers: There are 7-8 regular customers. They want to give the best quality of product and attract customers with the best service. Coming to the point of profit, they are earning 1.2 - 1.5 lakh after all deduction. Their opinion about the business is that they have to work hard a lot to get the average profit. They want to expand their business, create their own plant and install 7-8 machines and earn profit up to 10 lakhs. The aim of the business is to give the best quality of product and service, and maintain good relationship with customers. They have strong hope that they wouldn't undergo any loss. Dream business: Prem's dream business is to run a cars and bike showroom because he is passion about cars and bikes. He wants to start this type of business to have a royal feeling and be a part in the development of the country. Ecological Impact: Their aim is to make the best use of waste papers and control the environmental issues, and be active in reproduction. Any facts, figures or references stated here are made by the author & don't reflect the endorsement of iU at all times unless otherwise drafted by official staff at iU. This article was first published here on 8th March 2014.